Atmospheric Mournful Inducing Funeral Doom from Belarus on today’s show by the way of Woe Unto Me!! Artyom + Dzmitry join me in the hot seat to unveil the ins and outs of the life and times of the band. Where they have come from, what they are doing and where they are going! 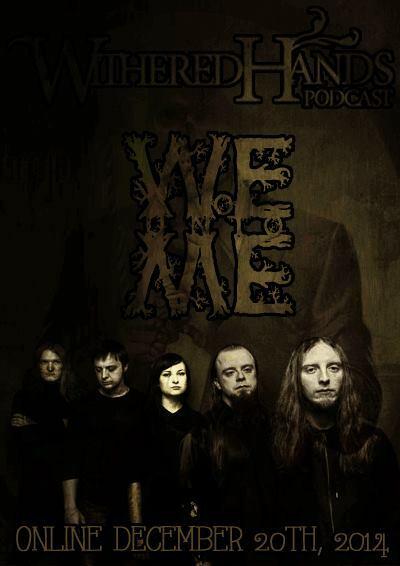 Since the release of “A Step Into The Waters Of Forgetfulness” W-U-M have been making waves in the metal scene and have shared the stage with some big names and will be sharing the stage with bigger names in the not to distant future. WHP were on hand to get the insight into the whys and hows of the bands inner workings and we are pleased to share this with you on todays show! You can check out the band at the following links, support their music, buy some stuff and have a blast listening to some fresh funeral doom. Your mind, body and soul will not regret this! So do yourself a favour guys and embrace the music, check this band out and support them! !, see them live, buy thier music and enjoy it! !